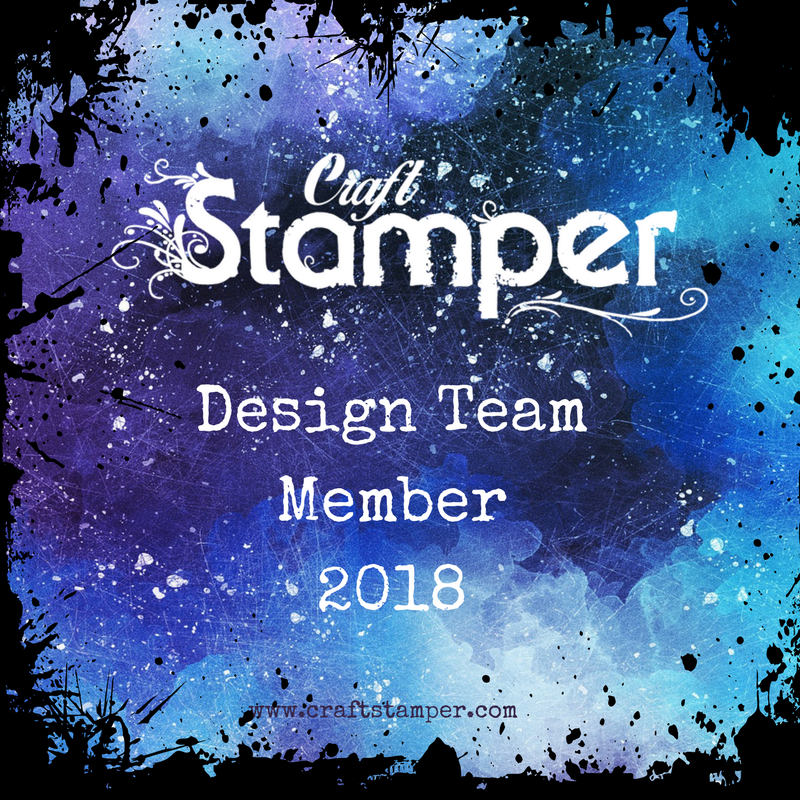 Today we see the start of a new challenge at A Vintage Journey - hosted this month by Annie. The theme is The Magic of Three. I decided to work on a large MDF tag. 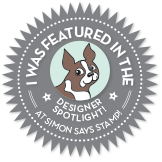 This project developed as it went along really although I had seen an image recently on Pinterest - by Zoe Hillman that was influential in the design! I started by painting the tag with gesso and then smooshing it around in a mixture of brown distress paints. 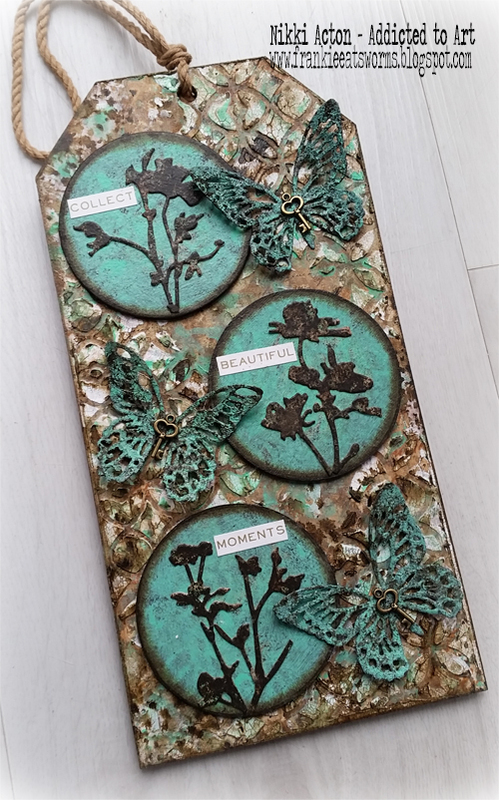 Once dry I added crackle texture paste through Tim Holtz latticework stencil. Again once dry I added more paint - browns again and cracked pistachio - sometimes off my craft mat and sometimes with my finger. I die cut three greyboard circles, some wildflowers and mini detailed butteflies and sponged with the same brown and pistachio colours. 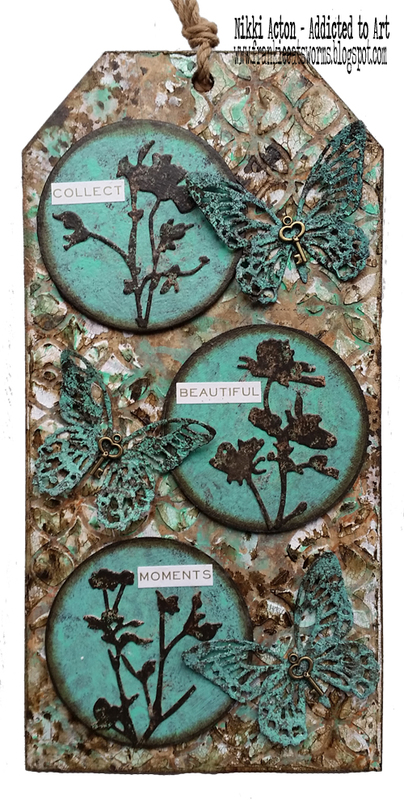 Finally I added one of Tim Holtz's new Metallic Quotation stickers. Sooo beautiful tag, Nikki! The browns with the crackled pistachio look fabulous! Great design of three! Absoltely GORGEOUS Nikki! 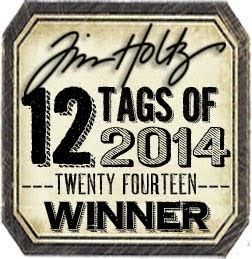 Love your tag! Absolutely fab! Nikki. Colour, texture, design and composition, chosen elements - all spot on. ABSOLUTELY beyond EXQUISITE Nikki. Oh my... just SPLENDID. One thing for sure is... I collected a BEAUTIFUL MOMENT and MORE coming by to see your INCREDIBLE CREATION. Truly LOVE this. Xj. So perfect for this challenge Nikki, your tag is so lovely and that crackle is perfect. 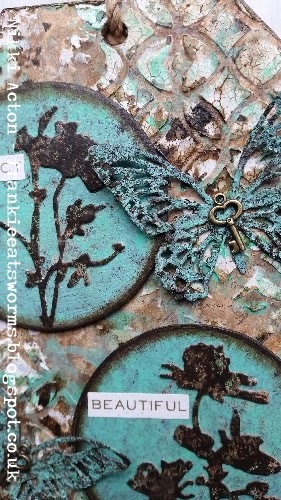 Ooh, I love your trio of flower circles, and that amazing textured background - another fabulous tag, Nikki - wow! Nikki, I have been waiting so patiently to see and read the details on this beautiful work of art! 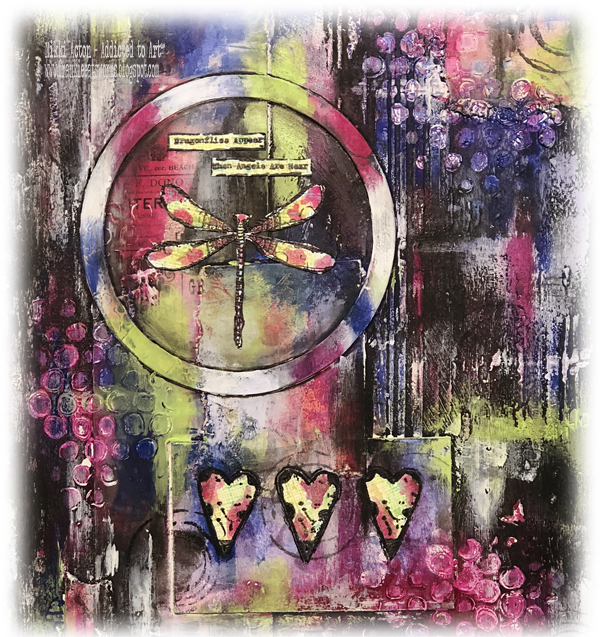 I love your colors and that crackled stenciling is divine! Love those circles with the flower silhouettes and and the butterflies! Love this! Hugs! Nikki this is completely stunning!! 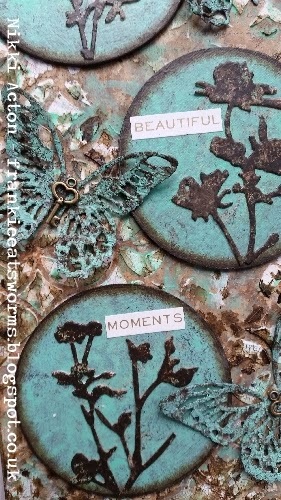 Wow, I adore the whole LO, the circles and flowers give the most brilliant effect, LOVE this tag!! !